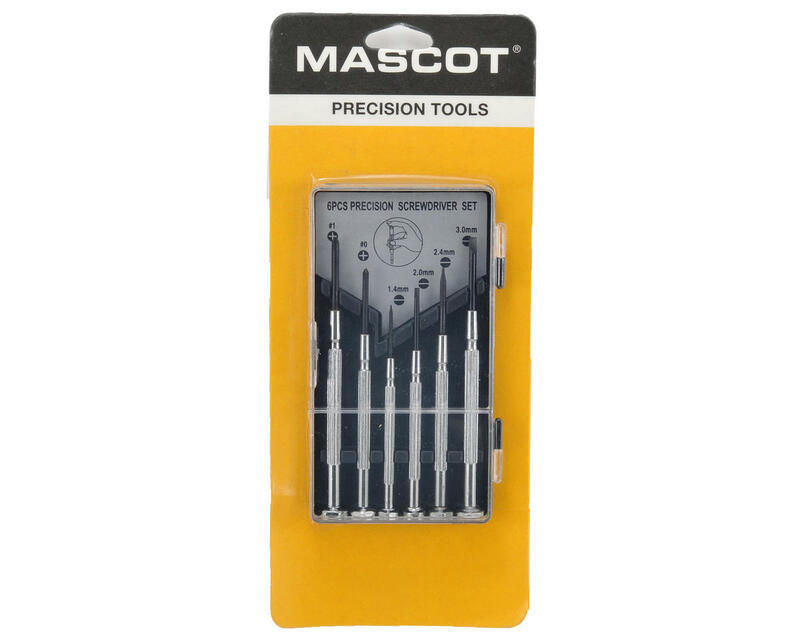 This is a Mascot Precision Six Piece Screwdriver Set. These screwdrivers are ideal for working on any item that requires small "jewelers" type Phillips or Flathead screwdrivers. The screwdrivers feature replaceable blades that are held firmly in the handle with screw chucks, and are made of quality heat treated tool steel for durability and long life. The bodies are plated and have a hexagonal swivel so they will not roll off the work bench when you set them down.